Pioneers in the industry, we offer high gloss uv kitchen, exclusive modular kitchen, plywood smart kitchen, kitchen setter and teak wood kitchen from India. We are one among the prominent manufacturers and exporters of best quality High Gloss UV Kitchen that is designed using high-quality glass, wood, and steel sourced from the credible vendors. Attributing to its exquisite design and perfect finish, this purple gloss kitchen offered by us has heaped words of intense praise among the clients we have reaped so far. 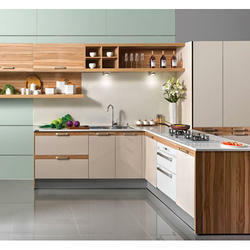 We hold expertise in offering optimum quality Exclusive Modular Kitchen to our valuable customers. These modular kitchens are made from melamine board, which is procured from well-recognized vendors. Available with us at highly affordable market prices, these kitchens are highly demanded their easy installation and elegant design. 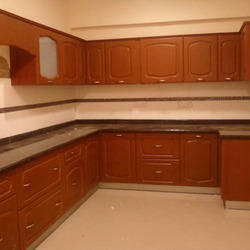 The kitchens, offered by us can be custom designed as per the specifications provided by our prestigious customers. Owing to the vast experience in this field, we have been able to offer Plywood Smart Kitchen. Manufactured from high-quality plywood, these texture kitchens are known among our customers for their excellent finish and classy design. 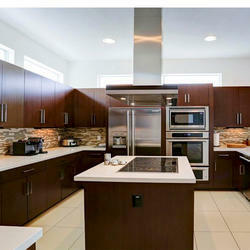 These kitchens can be custom designed as per the specification provided by our prestigious customers. We are one of the leading manufacturers, traders, and exporters of optimum quality Kitchen Setter. The kitchen setters, offered by us are manufactured from fine quality cotton, which is procured from reliable and trusted vendors. Available with us in all the standards sizes, these setters are can be custom designed as per the specification provided by our valuable customers. We are one among the leading manufacturers and exporters of best quality Teak Wood Kitchen. Eco-friendly and waterproof in its features, it is widely considered among the vast client-base we have accomplished to reap so far. 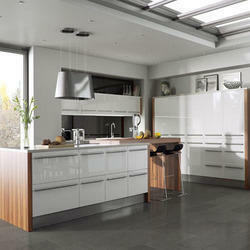 In addition to this, this offered wooden kitchen has fetched high demands for its perfect finish and attractive design. Looking for Smart Modular Kitchen ?